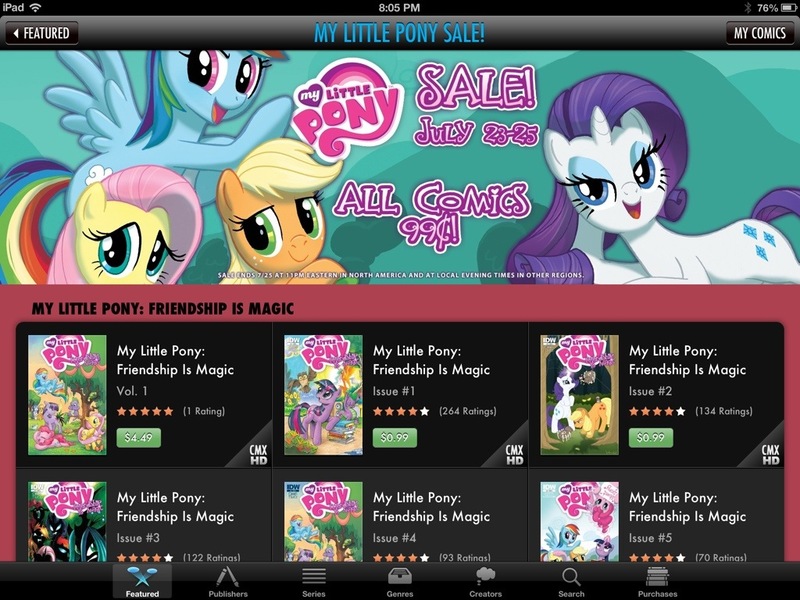 ComiXology currently has a 99c sale on the MLP issues from IDW. 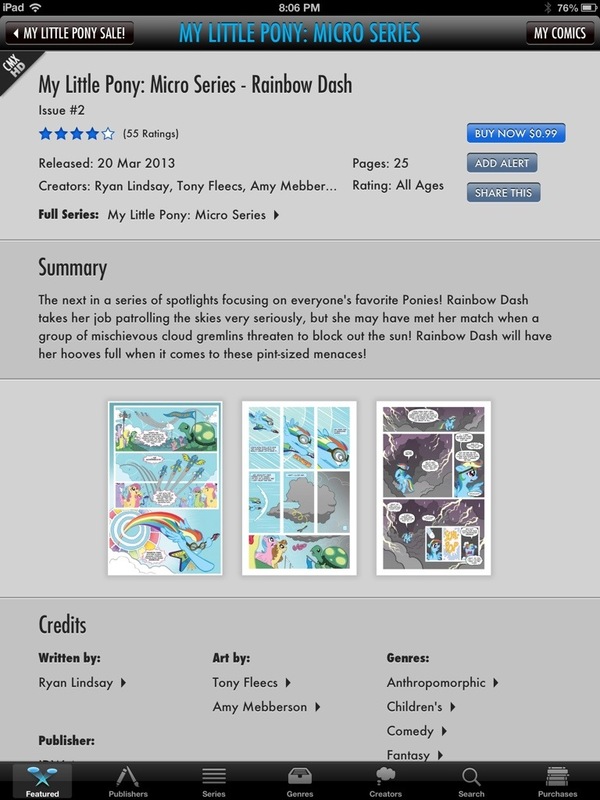 This means you can buy the Rainbow Dash one-shot from me and Tony Fleecs, it’s guaranteed to lift your spirits. You’ll see the sale link on the front page of ComiXology. That’ll take you to the sales page. I’d advise you trying out the main title, too. It’s high quality. 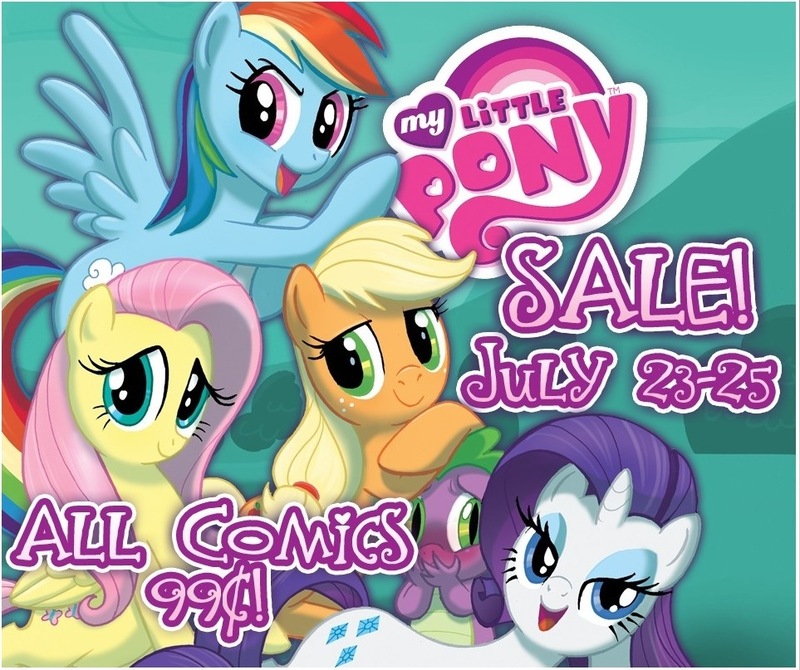 Click on our issue for Rainbow Dash and you can purchase this 22 page masterpiece of all ages madness for just 99c. It is something that was amazingly fun to write and Tony smashes these pages out of the park with bright pop fun and storytelling craft like you dream about from a collaborator. As you can see, once you’ve purchased it you can also drop a star rating in there. It’s sitting on 4 stars right now, which I’m hugely happy with and humbled by, so if you want to add your thoughts on the issue that would be cool. As always, if you buy from the ComiXology web page and then download onto your devices, more of the money goes to the people who made the book so think about purchasing that way.